Snare/Rush zine is an occasional printed zine covering extreme / experimental electronic music, of pretty much any genre as long as I like it. Featuring music and gig reviews, interviews, diagrams, opinions, photographs, art and lists of things plus whatever else seems to fit. Published whenever I have enough relevant content, roughly twice yearly. Thank you for your interest and supporting independent music / press! Plans for Issue#6 are coming together. Print date looking at April 2019. Issue 4 now available as .pdf below and last few print copies available at the NEW webstore. 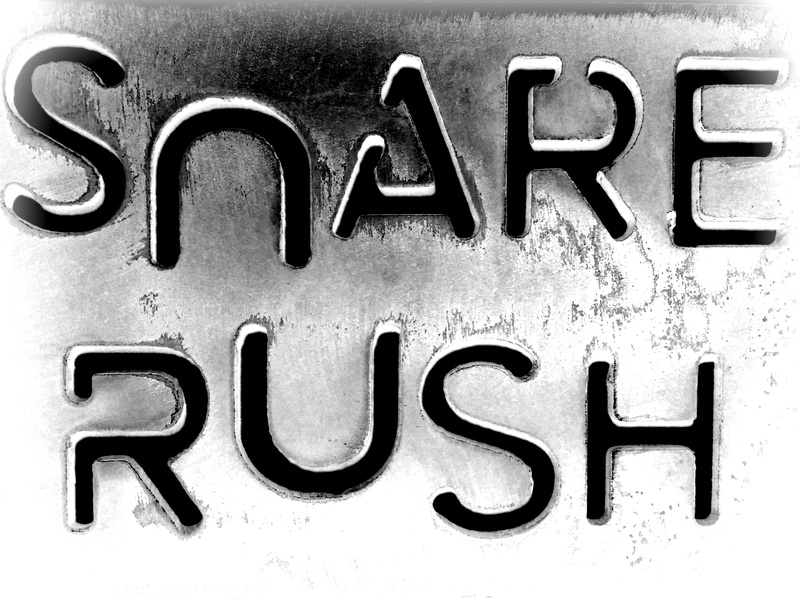 Snare Rush Issue 5 is still trading and selling well, and has featured in Issue#49 of Electronic Sound Magazine. The Buzzing Minds interview has been picked up by TQ_Zine and is to be reprinted and expanded upon. Exciting! 28 black & white pages in A5 format, heavy duty cover surround and stapled using recycled paper. Hand colour finish and notations, numbered edition of #100. LIMITED RUN Buy my zine!